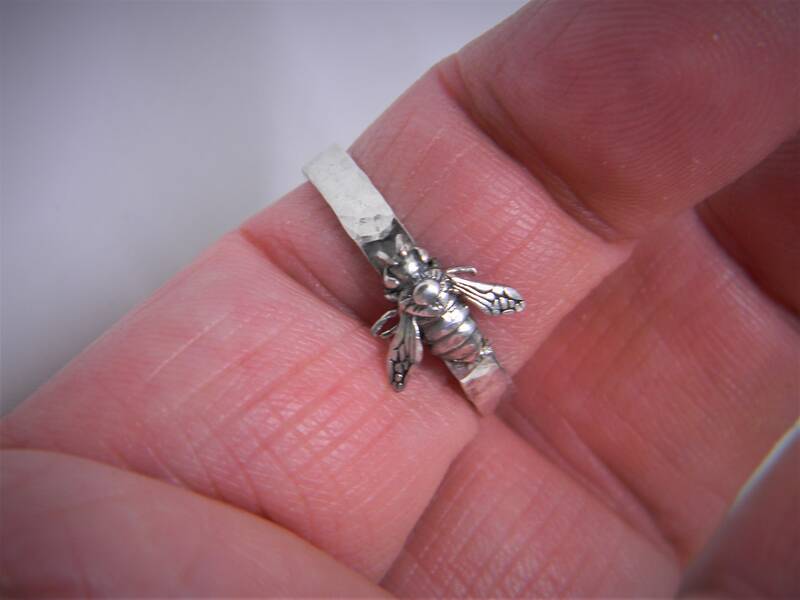 A beautiful hammered sterling silver Bee ring handcrafted in our studio here in Ohio. All connections are laser welded for strength and durability. We make these in various sizes at the time you place your order. Just let us know your size requirement. These rings are not mass produced. 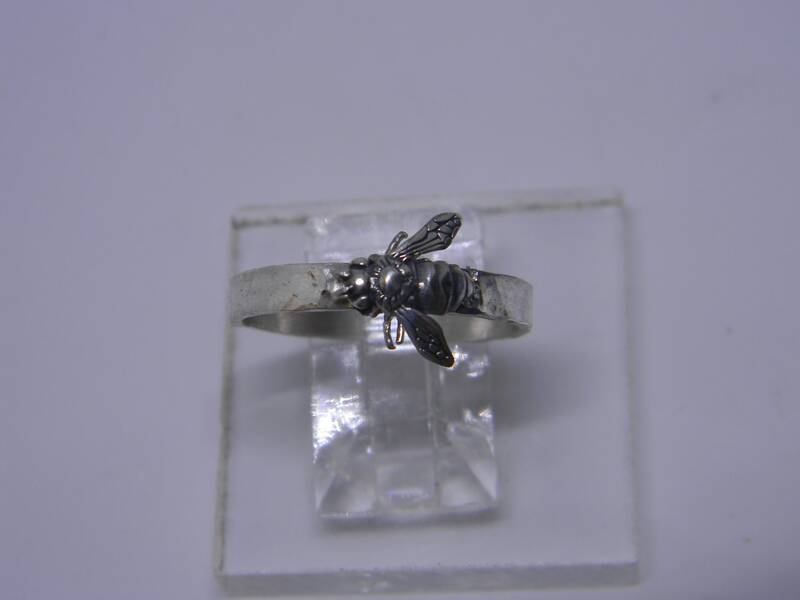 Your ring will be made just for you. So each one will be slightly different in its own little way. 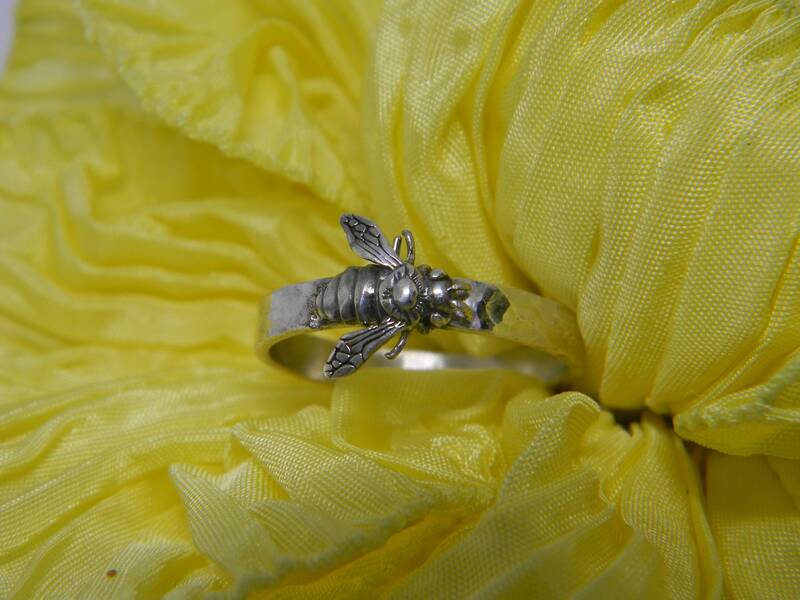 A great gift for the Bee lover!